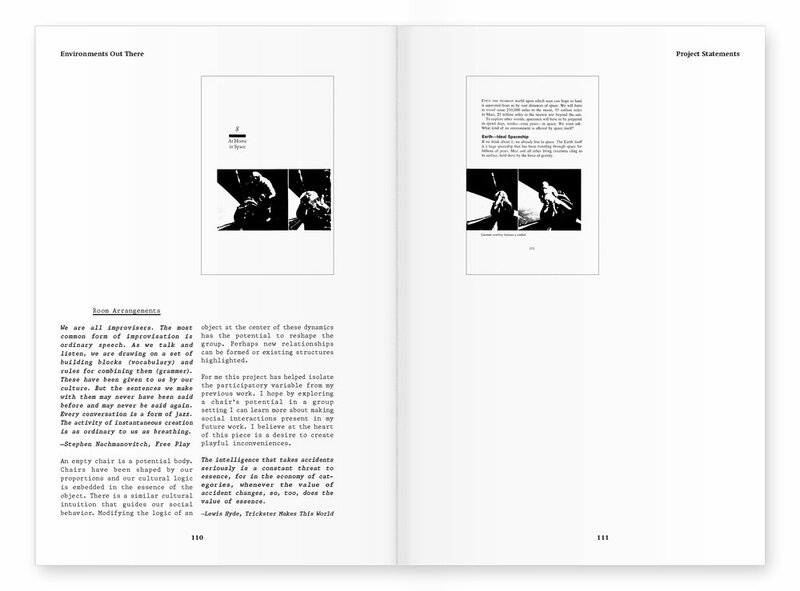 My graduate thesis book documents my research, projects, and writing done while at Cranbrook Academy of Art. The book is framed by Isaac Asimov’s 1968 book Environments Out There, which examines the possibility of life in our solar system at the cusp of the space race. Both books are the same size and page count and thumbnails of each page of the original run throughout my book. 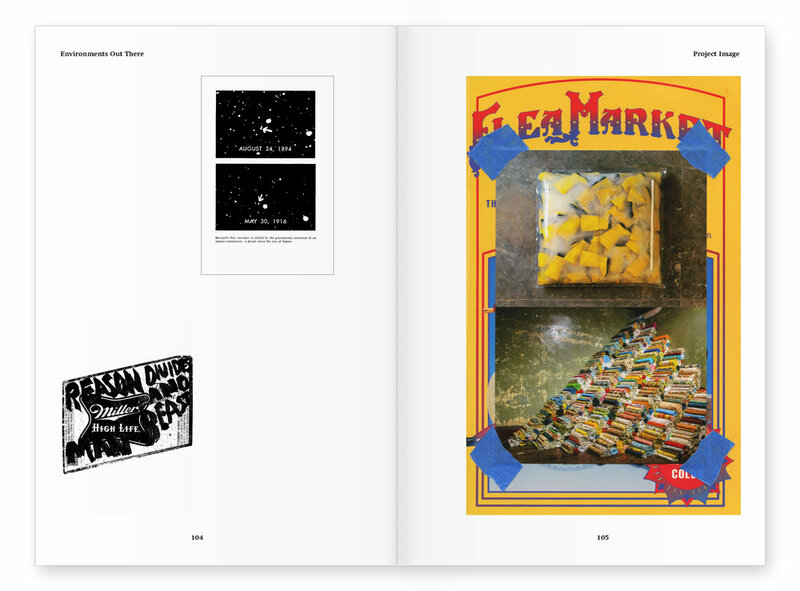 Project images are displayed taped to other book covers next to other graphic collages. 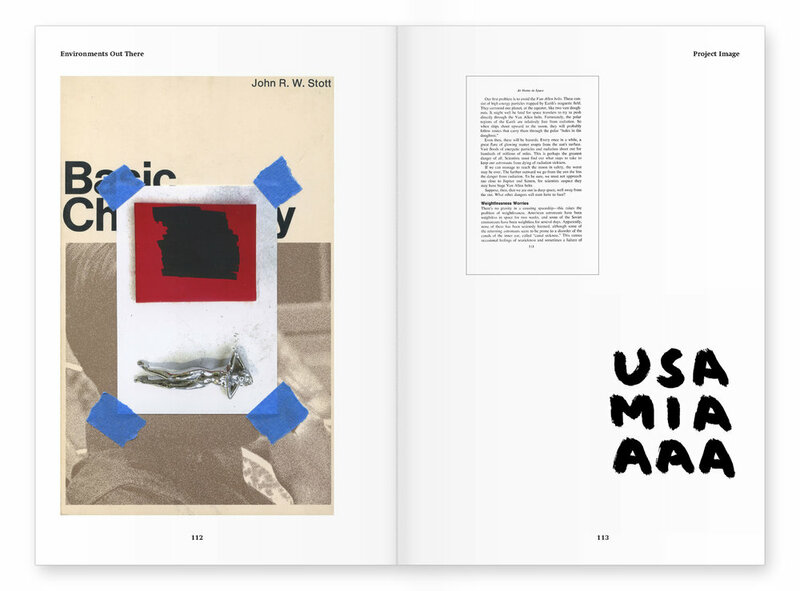 The effect is a sort of ordered chaos, with many books, images and texts living side by side.